Former Dock Mennonite Academy HS and Temple University field hockey player, a four sport athlete at Dock (field hockey, basketball, softball, and track and field) at Temple selected as an alternate for Olympic Festival and selected to usa developmental A & B team camps. 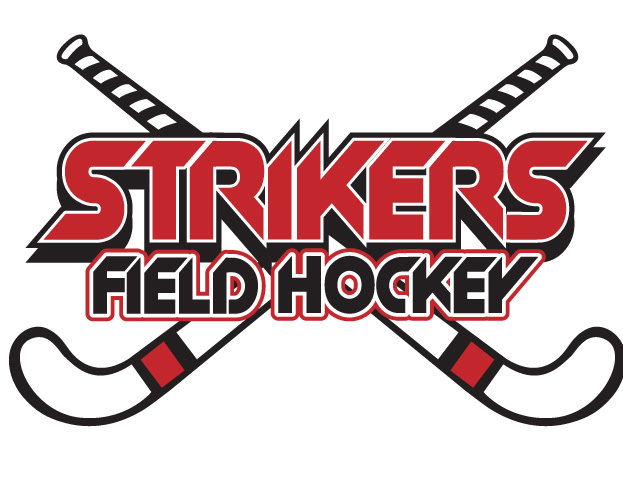 Fifth year as Souderton Strikers Field Hockey Manager and sixth year as Indian Valley Youth League, Junior Stars and Harleysville FH/LAX Summer camp Director. Worked since 1995 for Harris Camps. Former assistant varsity coach for Souderton HS and Gwynedd Mercy College. Former Head Field Hockey and Lacrosse coach @ Lansdale Catholic HS. Currently entering six year as Head Field Hockey coach at Dock Mennonite Academy HS. In those six years have won four Bicentennial Athletic League titles, one second place finish in league, and qualified for districts each of those years, and also completed in state playoffs. Named 2013 & 2015 Bicentennial Athletic League Coach of Year. She is married with two children, Madison and Max, Madison plays for the Souderton Strikers FH Club. Former Methacton H.S. and Lock Haven University field hockey and lacrosse goalie. Entering her fourth year as lead goalie coach at Souderton Strikers Club. Former freshman field hockey and lacrosse coach at Pennfield Middle School for ten years. Former assistant field hockey coach at Dock Mennonite HS. Has coached at numerous camps and clinics the last thirty years. Pam is married with 5 children. She is currently as assistant coach at North Penn HS. Graduated 2013 Liberty University field hockey goalie and Souderton High School. Senior year – team captain and nationally ranked sixth in nation in save percentage (.787) – recorded 118 saves and owned a 1.88 goals against average – logged nearly 1,200 minutes in cage and recording three shutouts – Team won NorPac East Division Title, NorPac Championship and earned NCAA tournament berth (record of 17-5 overall and 8-0 in conference) – that year Ann received NocPac all-tournament MVP, Virginia (VASID) All-State Second Team, and Two time NorPac East Defensive player of week, Ann’s coaching experience she has coached futures for five years, summer camps, and clinics, and entering her second year as Souderton Strikers Goalie Coach. Graduated from Souderton HS and Lock Haven University as a field hockey and softball player – Former All-American who started all four years at Lock Haven in field hockey and softball. She has received many awards in both field hockey and softball including – NEC player of week, PSAC Scholar-Athlete, First Team All-PSAC, Second Team All-PSAC and NFHCA All American. She played for legendary High School Coach Mary Ann Harris. Courtney has coached at Souderton Strikers Field Hockey club for ten years now as festival and U19 indoor team, she has lead her indoor team to a National Indoor Title. Currently she is entering her fourth year as the Head Field Hockey Coach at Central Bucks West. Former coach at Souderton High school in field hockey and softball and has coached at many camps and clinics and former Souderton Striker player. Graduated from Souderton HS and LaSalle University in field hockey. Former second team all-Atlantic 10 for three seasons, she started all four years at LaSalle. Has received NFHCA National Academic Squad, Phila Inquirer Academic all-area, Atlantic 10 all-tournament team, second team all-region, as a freshman received all American by women’s field hockey and was Atlantic 10 rookie of year. Becca is one of our festival coaches and is entering her fifth year as U19 red Souderton Strikers FH Coach and former Souderton Striker player. She is currently an assistant field hockey coach at Central Bucks West. Graduate from Souderton HS and LaSalle University in field hockey. Former Longstreth/NFHCA All Region all atlantic-10 conference player, she was a three year starter at LaSalle. Has received NFHCA National Academic Squad. She was a forward and midfielder in college - she lead the team in scoring her junior and senior years. Olivia is entering her fourth season as a U19 white strikers coach. This year she lead Indian Valley Youth Field Hockey League and coaches private lessons and showcases for the club. Graduate from Dock Mennonite Academy and Eastern University in field hockey. Former All-Mac Freedom conference and all academic team, selected to NFHCA All Region, selected to NFHCA Senior All Star Game and also named a Scholar Athlete by Eastern University. She was a four year starter at Eastern - her career stats stand as 39 goals and 17 assists as a defensive back. She is entering her second year as a strikers coach and also is junior varsity coach at Souderton HS. Graduated from Quakertown HS and Old Dominion University in field hockey. Kelly played for legendary coach Beth Anders. Kelly help lead ODU to a NCAA National Championship title in Division 1 in 1998 with a record of 23-2. Kelly assisted on the goal that led them to 3-2 victory over Princeton. She was selected to all-tournament team. She is known for her quote – “we won a national championship – it doesn’t get any better than that.” After her senior year at ODU she went on to train with the usa field hockey national team for several years. Kelly has coached for the past several years freshman team at Methacton HS. She will now Head field hockey coach at Quakertown HS and is entering her fourth year as U16 black coach Souderton Strikers FH Coach. Graduated from Hershey HS and Del Valley College in field hockey. Danielle helped her high school team to a runner up finish in the state championship game to a PIAA AAA second place finish. Danielle was co-captain her senior year in HS and in college at Del Val. Dani has a coached private lessons and summer camps. She is entering her second season as U16 silver Souderton Strikers coach, Indian Valley Youth field hockey lead coach, and junior stars coach. Graduated from North Penn HS and Kutztown University. Kim has been a Souderton High School coach for over 20 years in field hockey and lacrosse. She is married and has three children who went on to play college sports. Her oldest daughter, Nicole played field hockey at Duke University (named an All-American), second daughter, Christine played field hockey at Penn State, and her youngest son played soccer at Penn State as well. Her two daughters wear Souderton Strikers players. Kim is entering her eight year with the Souderton Strikers U14 level and this past year she led her team to 2014 National Indoor Tournament title @ Spooky Nook in March. Amanda is entering her third year as a strikers coach. She is a graduate of Gwynedd Mercy University., where she played field hockey. She also played club for New Jersey club team. Graduated from North Penn HS and Shippensburg University in field hockey. She is married with a daughter. While she was playing field hockey at Shippensburg she helped lead her team to the only national field hockey title in school history. Sue has coached in the Souderton and North Penn School districts over many years and has coached at many summer camps and clinics, including Harleysville FH/LAX Summer Camp. Sue has a daughter Ali (playing field hockey at West Chester), who played for Souderton Strikers. Sue also coaches our Disney team. Sue is entering her eight season with the Souderton Strikers at the U16 level. Graduated from Christopher Dock HS and current West Chester Student. She played field hockey for Coach Michelle Waldspurger and now is coaching for her. She was a talented forward, who was a three year varsity starter and two time starter at dock. She went on to coach the past two years at Souderton Middle School in the fall and is currently entering her fourth season with the Souderton Strikers U14 level. She was a field hockey referee for one year with the Indian Valley Youth FH League. Graduated from Dock Mennonite Academy and Eastern University field hockey. She is married with one daughter and expecting her second in spring.​ She is currently in her third season as an assistant Varsity coach at Souderton HS. She is the lead field hockey coach at Junior Stars. Graduated from Christopher Dock HS and Old Dominion University in field hockey. Three year started at Old Dominion University. She was selected to U21 Junior National Training Camp, 2009 South High Performance Training Squad, Women’s National Championship Team, NFHCA national academic squad Her senior year she was tied on the team with five assists and also made 3 defensive saves. She is a member of the coaching staff at upper perk high school where her mom is the head coach, Jamie Warren, her cousin is former national team and Olympic player, Jesse Gey and has coached for the futures program. Hanna has been the lead coach of junior stars field hockey program the last two years.